Comfort Fit knee compression wrap gives the health benefits of compression while letting you stay active. With 2 points of adjustability above and below the knee, this knee wrap allows you to control compression for a custom fit. As it hugs your knee, it helps relieve pressure and discomfort, reduces joint fatigue and helps guide your knee in proper motion. Heat-retaining fabric encourages blood flow to joints and muscles to help reduce pain and boost recovery from strain. 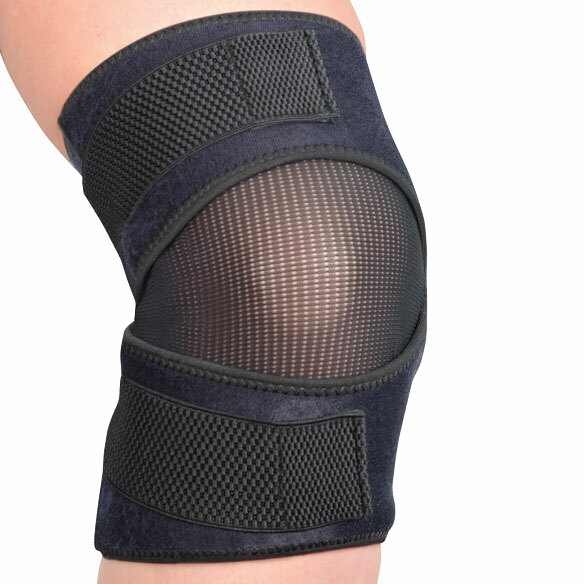 Breathable kneecap area allows for natural movement during exercise or daily activity. Adjustable compression above and below the knee. 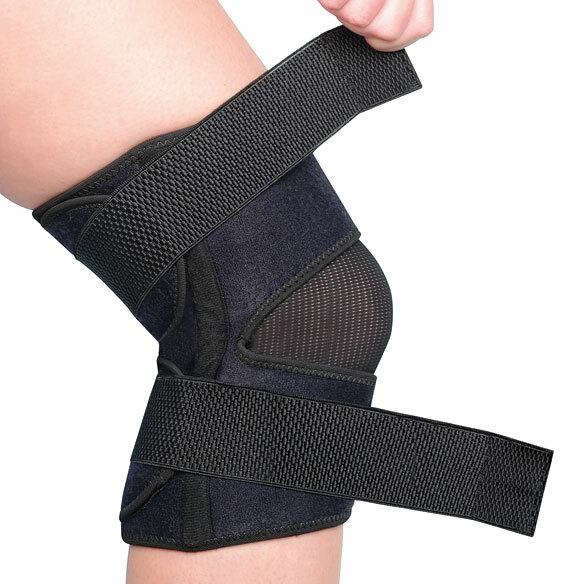 Knee support helps retain body heat to boost healing circulation. Breathable for all-day comfort and mobility. Hand wash; do not bleach or iron. THIS LOOKS LIKE WHAT I HAVE BEEN LOOKING FOR MY SELF. i need something for my knee pain,..
i have a superficial clot in my knee and am on my feet all day at work , one of the nurses i work with suggested that i buy one. For my husband. He needs to finish football season before he has knee surgery. it looks like it is comfortable for my knee. Seeking relief from knee pain/pressure. Buying time before knee replacement. My knee is in pain. Most braces in one solid do not fit my knee the wrap looks like it will work? wait and see. I'M HOPING THESE WILL HELP MAKE MY KNEES MORE STABLE SO I CAN STAND UP EASIER & NOT SO PAINFUL. Osteoarthritis in my knee.My doctor reccomend it for extra support for climbing stairs. Best choice to relieve with knee pain. it looks like it would work for me. Seems to do what others overlook--comfort. Weak knee problem - not much cartilege but unable to have knee replacement because of being a caregiver for my husband. I had purchased this item for my husband and he liked them so well I decided to send my brother some. Great product!! Does this pull on and then adjust using velcro straps OR does it close with velcro in the back of the leg and adjusts in the front also using velcro straps? how do you wear this? BEST ANSWER: Thank you for your question. The picture shows how you are to wear this item. We hope this information will be of help to you. So do we wrap it around our knees and then use the welcrow to tighten it or do we have to slide it from our foot upto our knee and then tighten it? BEST ANSWER: Thank you for your question. This item is one size fits all. We hope this information will be of help to you. would this be good for varicose veins behind the knee? BEST ANSWER: I don’t know.. Size of upper and lower straps? BEST ANSWER: Thank you for your question. Fits knee circumference from 13” - 18 1/2". The bottom strap is 15” long and can be stretched to 30”. The top strap is 16” long and can be stretched to 33”. We hope this information will be of help to you. very large 7 ft man needs 23 inch wrap== it says one size fits all but they usually don't will this fit him? BEST ANSWER: Thank you for your question. No, this will not fit him. We hope this information will be of help to you.